The Ridge Residence; The Ideal place for a stay in comfort! Located on a ridge overlooking the eastern coast at La Louise, The Ridge Residence is the perfect location for guests looking for a perfect holiday with privacy and tranquility. The property has just been renovated with more modernity and better comfort, hence there is now a plunge pool available in which you can cool off and enjoy the sunrise or sunset. 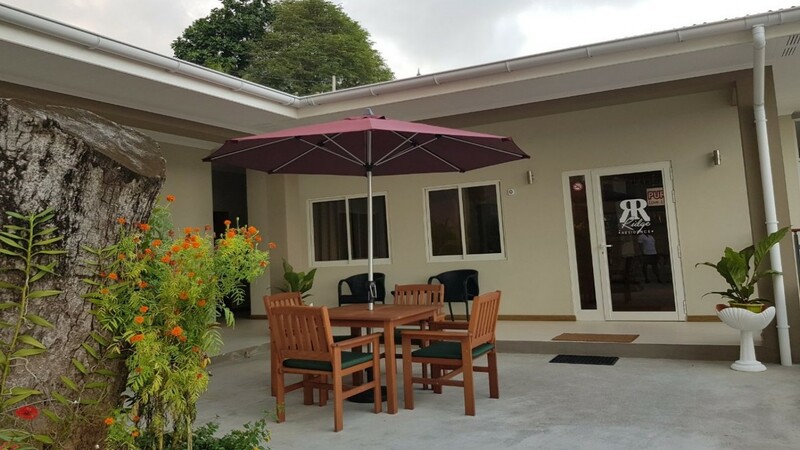 The Ridge Residence comprises of 12 Standard Rooms which can accommodate a maximum of 3 persons. All rooms are fully equipped with ensuite bedroom with air-conditioning, TV, seating area and all other amenities a guest shall need during their stay at the guesthouse. The Ridge Residence is ideal for people travelling aone, couples, families or even groups. © 2017 The Ridge Residence. All rights reserved.